There’s nothing more important than what’s in your heart. To guard your heart is to keep Christ’s righteousness, mercy and love inside. It means not to allow evil to seep in. How do we keep evil from seeping in? 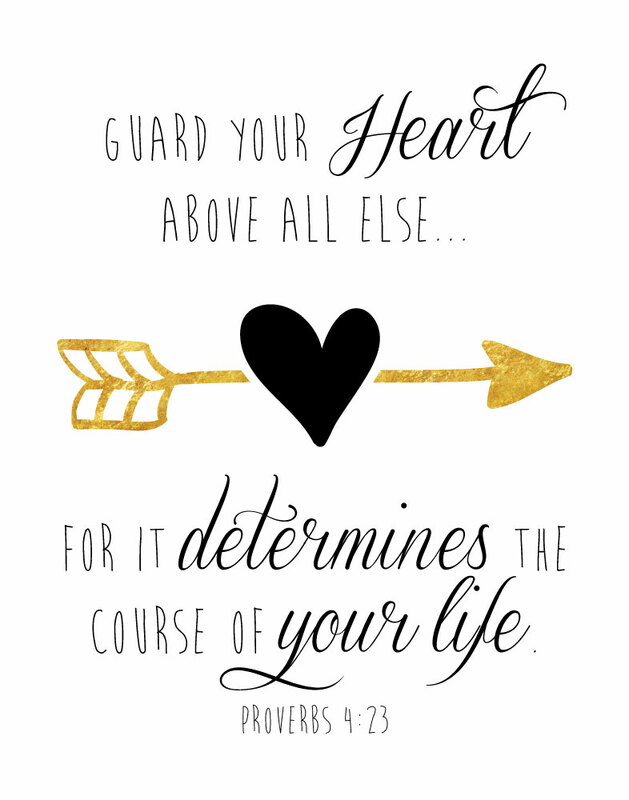 We must guard our thoughts and make sure they are pleasing to God. 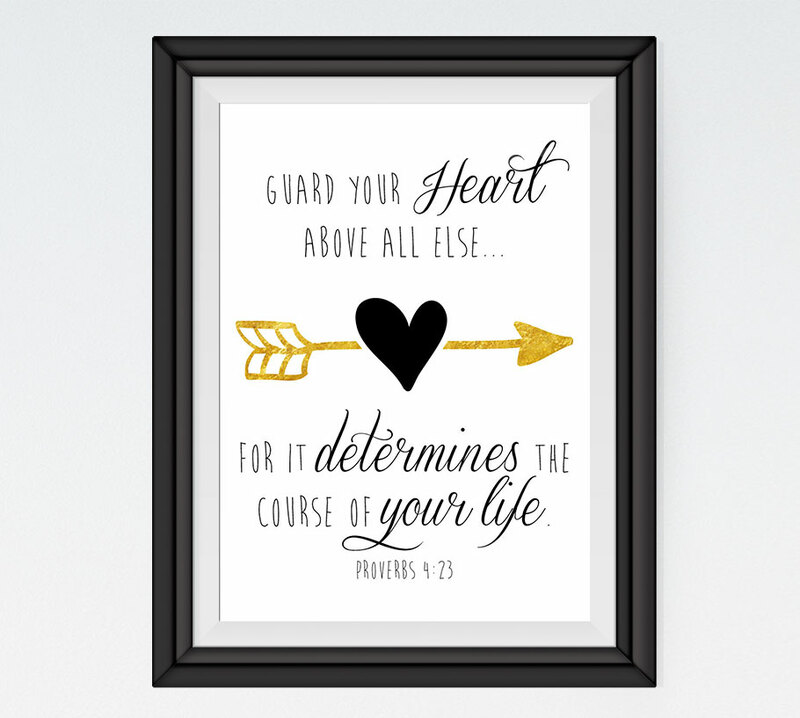 Let this bible verse print be a daily reminder to guard your heart.